Updated Thursday March 7, 2019 by HGSL. Ready for the season to begin? How about a little warm up before the season starts? 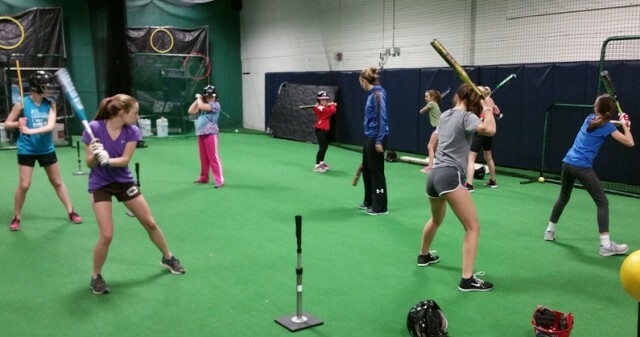 Haverhill Girls Softball and Play Ball of Salem NH are teaming up to offer 6 weeks of clinics prior to the start of our season. The clinics have been offered to the players in our league for a significantly reduced rate. The clinics will be $68 for all 6 weeks and we will be working on various skills throughout the 6 weeks. All players in 10U and 12U divisions are welcome. At this price, even if your daughter can't attend all 6 sessions, it is still a good deal and will benefit them greatly getting prepared for the season. Saturdays 10:00am-11:00am, Starts 3/9 and ends 4/13. If you are interested in signing your child up for these clinics please register on our website http://www.haverhillgirlssoftball.org Click on the “Registration Now Open” banner on the homepage.